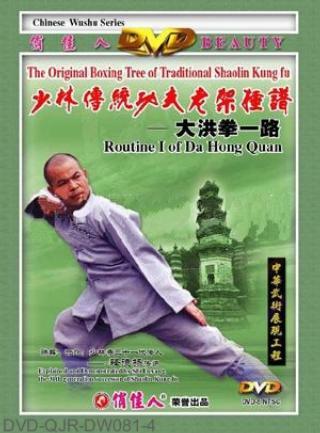 Shaolin Big Hong Fist (Shaolin Da Hong Quan) is developed based on the foundation of Small Hong Fist (Shaolin Xiao Hong Quan) with slighly bigger frames, more foot forms and more comprehensive techniques. This routine was widely spreaded in China among ordinary folks during the late Qing Dynasty (AD 1644-1911) by the Shaolin monks. This product was added to our catalog on Monday 04 June, 2007.